Edgar Award Finalist: Her lover murdered, a Brooklyn defense attorney faces an eye-opening mystery. Cass Jameson feels at home in court. A Brooklyn legal-aid attorney, she defends prostitutes, drug dealers, and burglars, helping them navigate the tangled justice system one hearing at a time. After years of drudgery, she dreams of quitting her career in law to become a professional photographer—a dream she has discussed only with her boyfriend, fellow attorney Nathan Wasserstein. It is a dream they will never get to share. 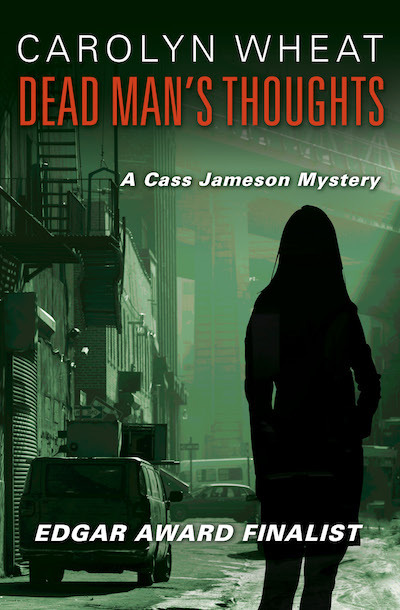 One afternoon, Cass finds Nathan’s apartment unlocked. The kitchen has been ransacked, the living room trashed. And in the bedroom, she finds Nathan tied to his bed, savagely murdered. When the police investigation falters, Cass takes it on herself to find her lover’s killer—even if it means learning things about him that make her question everything.